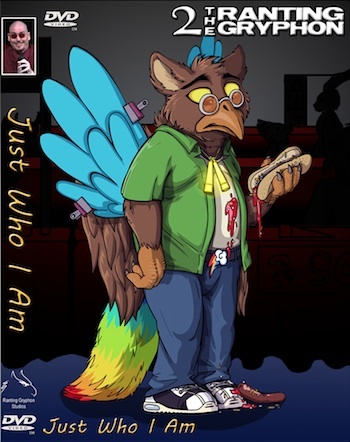 Rabbit Valley Comics has expanded its digital product offering to include short stories by Graveyard Greg, digital versions of 2 The Ranting Gryphon's stand up comedy videos, as well as audio collections by JackRabbit and 2. Rabbit Valley launched the digital items store this February, with novels by Alflor Aalto and Wolf and a host of comic books, including Spooo Presents titles, Circles, Fast Boyz Delivery Service, and The Royal Tale. Two new Dragon's Hoard titles are also available: NomNoms #2 and Runt #2, featuring art from Dark Natasha, Enderis, Jace, NecroDrone, SalerthS, Sidian, and Skulldog. Hmmm. I am not sure that I understand the 2’51” Müstiline Raba. Storks usually eat frogs, not the other way around. The Cartoon Brew says that this is “a delightful taste of that droll humor we’ve come to expect from Estonian animators.” Whatever. The fact that the stork wears a wristwatch and a frog plays a mandolin makes this anthropomorphic. I have said previously that I do not understand Estonian animation. I still don’t. 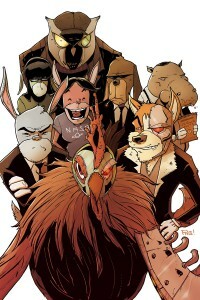 Look, we know that we very recently did a report on Chew: Secret Agent Poyo from Image Comics. Well even more recently they lobbed a curve-ball right at us, and we thought we’d better respond. So first off, what is Chew? Here’s the description from Wikipedia: “Chew is an Eisner Award-winning American comic book series written by John Layman with art by Rob Guillory and published by Image Comics. It is a story about an FDA Agent who solves crimes by getting psychic impressions by eating things, including people.” Got that? Okay. Well now comes the announcement for issue #28 of the regular Chew series. Check out the cover below, and check out this description from Image: “‘Space Cakes’, Part Three. Remember last story arc when Tony Chu got kidnapped? This issue he gets kidnapped again! How lame is that? Meanwhile, we shamelessly pander to comics’ coveted ‘furry’ demographic.” Got that? Okay. We don’t know anything more about it, but we figure if they’re going to pander to us, we’ll pander right back at them. So there!